Prices are subject to change but are correct at time of posting. Any glitches, errors or typos are not required to be honoured. If an error or inaccuracy is discovered with regards to the advertised price of the goods that you have ordered, we will contact you as soon as possible by e-mail. This will be to inform you of the correct price of the goods, and to ask you if you wish to continue with the order at the amended price, or to cancel the order altogether. Any special offers will have a clearly displayed end date. PayPal is our main payment method – you can pay with your PayPal account, or by card through that system. To pay by card, you don’t need to have an account with PayPal to purchase. Please ensure the address stated on your PayPal account is the address you’d like your order delivered to, this is the address we mail to and we cannot be held responsible if it is incorrect. Any contract for purchases made through the website will be with Scrapdoodle. Scrapdoodle must receive payment of the whole of the price for the goods that you order before your order can be accepted, and the contract formed. Most orders are posted between 3 – 5 working days after the order is received. Custom orders will take longer and this will be discussed when the order is placed. Where the term “Working Days” is featured, this excludes bank holidays, weekends and public holidays such as Christmas. Any holiday times will be clearly displayed on the homepage. Postage for all orders is charged at cost. All items will be posted via Royal Mail 2nd Class, (or equivalent international service). Customers are welcome to upgrade their shipping choice if desired. Should your order not arrive, please contact Scrapdoodle. A full refund will be offered only once 15 days has elapsed so that Royal Mail will class it as lost. We ensure all items that are posted to our customers are of the highest standard. If an item is faulty we will offer a repair, an exchange, or if necessary a refund. If you wish to return a faulty item, or to cancel under the Consumer Contract Regulations please notify us in writing (email is fine). We will then process your return. When you place an order with Scrapdoodle you will be sent an order confirmation which will give you the opportunity to correct any errors. Should you have any complaints, please send them to the contact information detailed in this document. I want to help, so please let me know if I can. If you use this site, you are responsible for maintaining the confidentiality of your account and password and for restricting access to your computer, and you agree to accept responsibility for all activities that occur under your account or password. If you are under 18, you may use our website only with involvement of a parent or guardian. Scrapdoodle reserves the right to refuse service, terminate accounts, remove or edit content, or cancel orders in their sole discretion. 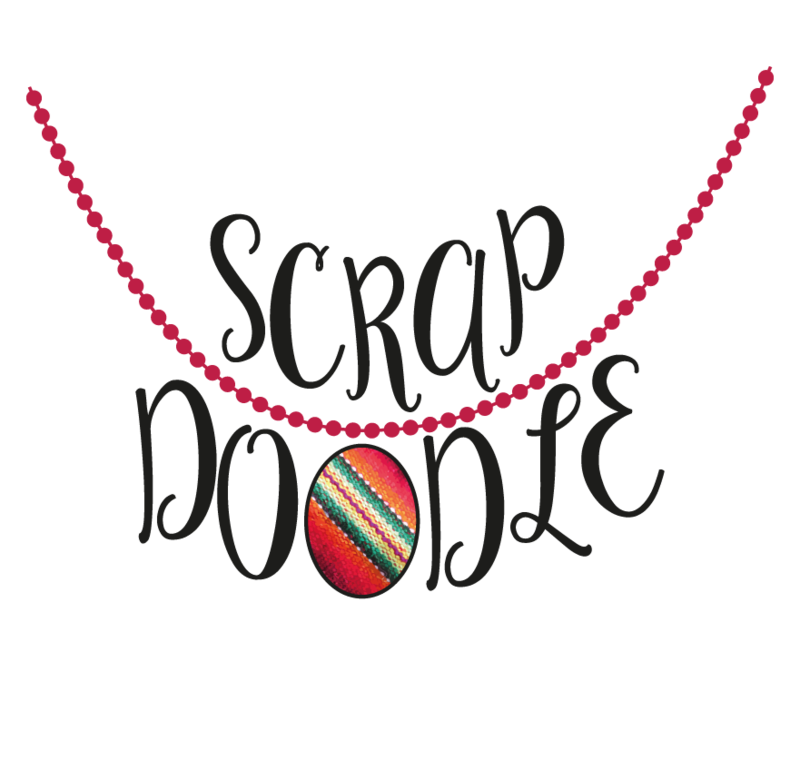 Scrapdoodle products are not toys and are to be worn by adults only. They are not teethers and should not be used as such. It is in the nature of fabric to become dirty if care is not taken and while you may attempt spot cleaning your Scrapdoodle jewellery is not designed for cleaning. Any damage from either dirt or cleaning is your responsibility. By purchasing from Scrapdoodle you agree to take responsibility for the proper use of your product. We make every effort to ensure the safety of our products, however, Scrapdoodle will not be held responsible for any injury caused by our products. All content included on this site, such as text, graphics, logos, button icons, images, audio clips, digital downloads, data compilations, and software, is the property of Scrapdoodle or its content suppliers and protected by international copyright laws. The compilation of all content on this site is the exclusive property of Scrapdoodle, with copyright authorship for this collection by Scrapdoodle, and protected by international copyright laws. Scrapdoodle grants you a limited license to access and make personal use of this site and not to download (other than page caching) or modify it, or any portion of it, except with express written consent of Scrapdoodle. This license does not include any resale or commercial use of this site or its contents: any collection and use of any product listings, descriptions, or prices: any derivative use of this site or its contents: any downloading or copying of account information for the benefit of another merchant: or any use of data mining, robots, or similar data gathering and extraction tools. This site or any portion of this site may not be reproduced, duplicated, copied, sold, resold, visited, or otherwise exploited for any commercial purpose without express written consent of Scrapdoodle. You may not frame or utilize framing techniques to enclose any trademark, logo, or other proprietary information (including images, text, page layout, or form) of Scrapdoodle without express written consent. You may not use any meta tags or any other “hidden text” utilizing Scrapdoodle’s name without the express written consent of Scrapdoodle. Any unauthorized use terminates the permission or license granted by Scrapdoodle. You are granted a limited, revocable, and nonexclusive right to create a hyperlink to the home page of Scrapdoodle so long as the link does not portray Scrapdoodle, its associates, or their products or services in a false, misleading, derogatory, or otherwise offensive matter. You may not use any Scrapdoodle logo or other proprietary graphic as part of the link without express written permission. When you visit Scrapdoodle or send e-mails to us, you are communicating with us electronically. You consent to receive communications from us electronically. We will communicate with you by e-mail or by posting notices on this site. You agree that all agreements, notices, disclosures and other communications that we provide to you electronically satisfy any legal requirement that such communications be in writing.